The NAB Spring Convention in Las Vegas, is where hundreds of thousands of broadcasters, developers, entrepreneurs and vendors come together to show you where the industries of Radio, TV, Film and Video are headed, and always creates a buzz heard throughout the calendar year. 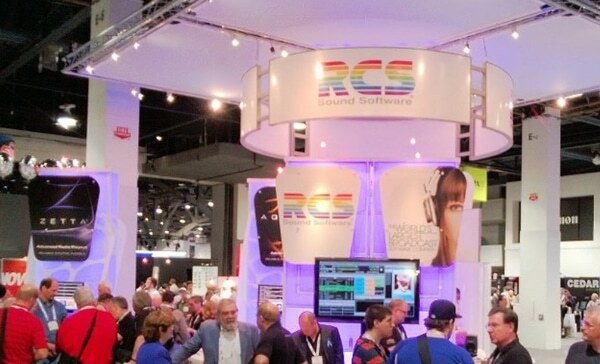 During the show, RCS will release Version 3.0 of the Advanced Playout – automation system – Zetta. Version 3 also fulfills the vision of not only meeting the rich legacy of the world-famous RCS “Living Log®“, but surpassing it with its advanced integration with the world’s most powerful content scheduler, GSelector. Taking advantage of the true multi-user capabilities in GSelector where changes made in either system are shown everywhere almost instantly.